This Wedding was absolutely stunning! My team and I loved working with Georgia & Anshul, and a variety of talented vendors to make all of their wedding dreams come true. With a mixture of traditional Western and Sanskrit Traditions, this turned in to a uniquely beautiful event. We wish the bride and groom only the best for their future! We wanted to create a bouquet that would be interchangeable. We created this light pastel arrangement with subtle yellow, cream, pink and blush tones to help highlight the gold stitching and the cream lace on both individually beautiful dresses. 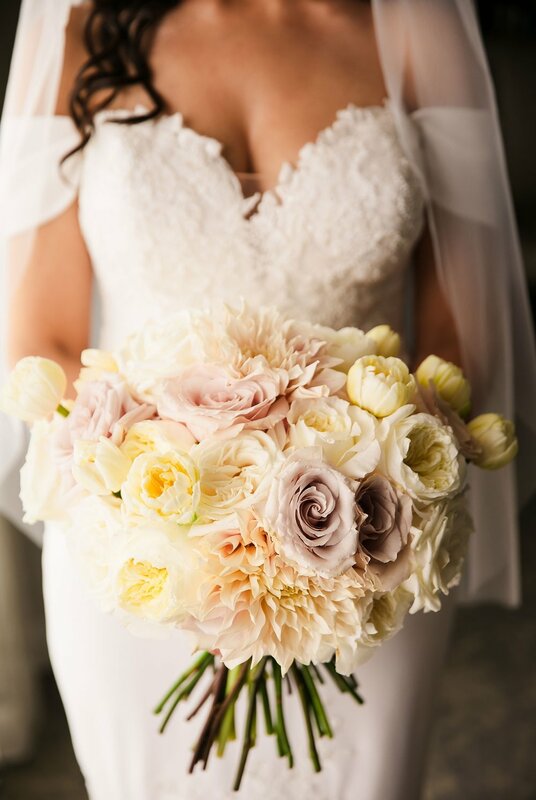 It's amazing how the same bouquet can transform with each dress. For the table arrangements and outside setup, we wanted to stay consistent with the same color scheme we used for the flowers while also highlighting the beauty of the sunset. 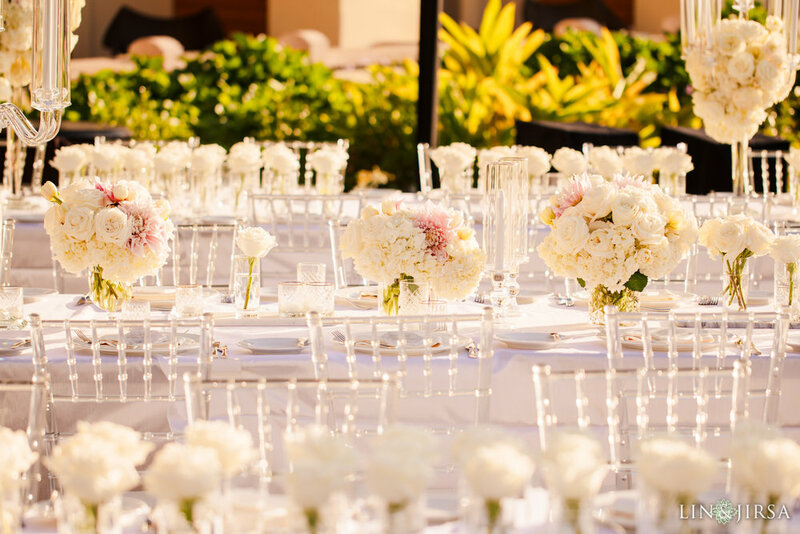 We used crystal accent pieces and clear chairs to allow the natural light to become a part of each centerpiece. Orchids are great for any event. We hung white orchids among bushels of blush and cream roses to create an alluring alter. The soft blush draping tied the piece together. For the ceremony, we used gold chairs draped in the same blush satin. Everything looked so beautiful against the ocean in the background. Thank you to everyone who worked on this event!